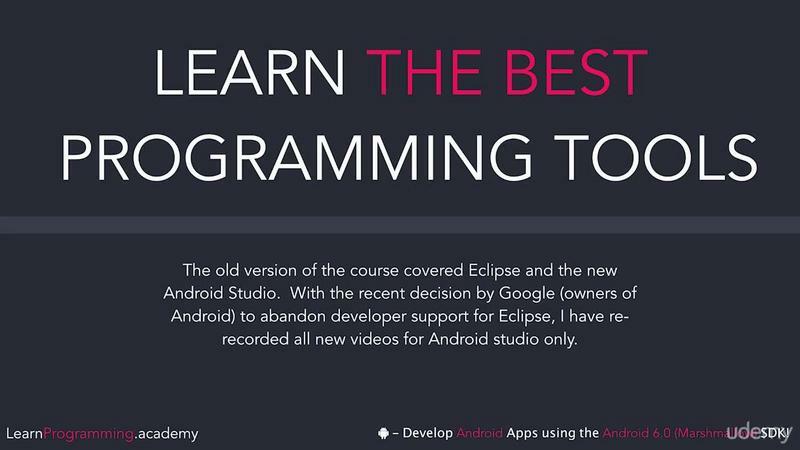 Udemy Learn Android App Development With Java Step By Step | Free eBooks Download - EBOOKEE! Posted on 2018-12-25, by fubber. No prior knowledge required. Some programming background would be beneficial. PC or Mac that can run Android Studio and the Android Virtual Device. Android accounts for approximately 85% of all devices sold today (2017 Q1). It only makes sense for you to be developing applications for the Android platform. Introduction to Android, installing Android Studio. Create your first Android Application, learn to debug the application and learn how to create a signed APK that you can submit to the play store. By completing this course, you will have more than just basic knowledge of Android Application Development. No comments for "Udemy Learn Android App Development With Java Step By Step".